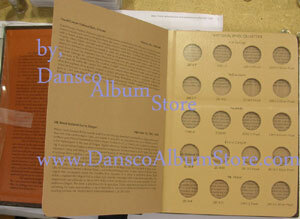 This 8146 Dansco album contains a port for the Philadelphia, Denver, San Francisco Clad Proof and San Francisco Silver Proof issues for each of the national parks from 2010-2015. This is a 6 page album. 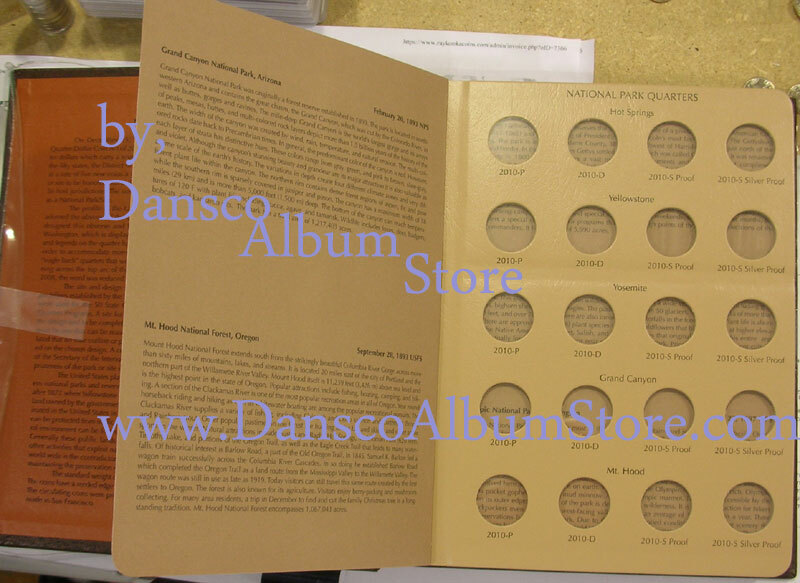 We were informed by Dansco that they will release a S minted supplement page for all the Washington Quarters America the Beautiful National Parks Albums once the Mint is done producing these new additional S uncirculated coins.